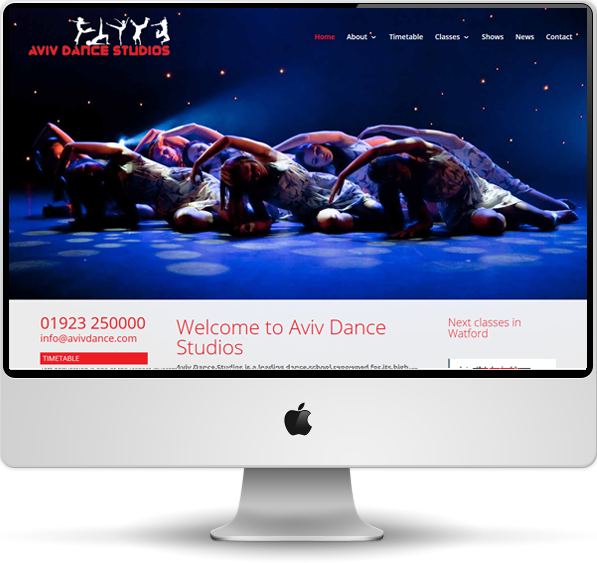 Aviv Dance Studios is a dance school based in Watford and Harpenden, offering tuition in a wide variety of dance genres, from Ballet and Tap to Streetdance and Hip Hop. The Aviv website is an example of our BlackboxFlex website package, with responsive styling which adapts to different device types and sizes, fully featured custom page formatting, a customised class schedule presentation, blog, contact forms and more. You can see the live Aviv website here.